More than half of 33 brand‐name lipsticks tested (61 percent) contained detectable levels of lead, with levels ranging from 0.03 to 0.65 parts per million (ppm). None of these lipsticks listed lead as an ingredient. One‐third of the tested lipsticks exceeded the U.S. Food and Drug Administration’s 0.1 ppm limit for lead in candy – a standard established to protect children from directly ingesting lead. Lipstick, like candy, is ingested directly. Nevertheless, the FDA has not set a limit for lead in lipstick – which fits with the disturbing absence of FDA regulatory oversight and enforcement capacity for the $50 billion personal care products industry. Lead is a proven neurotoxin that can cause learning, language and behavioral problems such as lowered IQ, reduced school performance and increased aggression. Pregnant women and young children are particularly vulnerable to lead exposure because lead easily crosses the placenta and may enter the fetal brain, where it interferes with normal development. Lead has also been linked to miscarriage, reduced fertility in both men and women, hormonal changes, menstrual irregularities and delays in the onset of puberty. Lead builds up in the body over time and lead‐containing lipstick applied several times a day, every day, combined with lead in water and other sources, could add up to significant exposure levels. The laboratory results show that lead in lipstick is an unnecessary and avoidable problem. 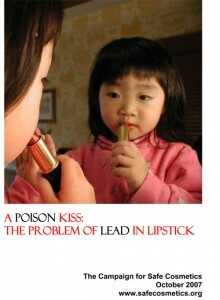 Thirteen of the lipsticks tested (39 percent) had no detectable levels of lead. 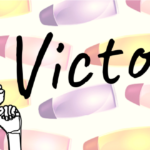 The results also show that the more expensive brands are not necessarily safer: Dior Addict, one of the most contaminated samples, sells for $24.50 a tube, while the Revlon lipstick that contained no detectable lead retails for $7.49. 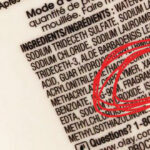 The Campaign for Safe Cosmetics is calling on cosmetics companies to test their full product lines for lead, to reformulate immediately products found to contain lead, to require from suppliers a guarantee that raw materials are free of lead and other contaminants, and to join the Campaign for Safe Cosmetics in demanding that the FDA more strictly regulate personal care products.